“I try to keep track of your writings and want to tell you how much you have made a difference in my life. I work with two strength trainers, one in Dallas and one in Albuquerque—and can always tell when they have seen you in person, watched a DVD or read one of your books or articles. 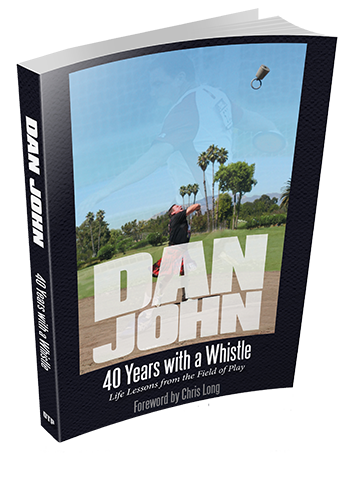 In other words, I can tell a Dan John influence in my workout—a new “simple but not easy,” although your training philosophy is evident throughout my program. We also discuss your articles and books regularly and make sure we are keeping up with you. (Reading is part of my training program and as a voracious reader, I love it). I was not an athlete growing up because it wasn’t encouraged—definitely a pre-Title 9 era. So I began training after the death of my husband, when I determined the need to stay healthy (actually “become healthy” would be more accurate) because I needed to be able to take care of myself. And it helped deal with the grief. At one point, I could ran out of finger strength when sumo squatting with a dumbbell and my trainer had me deadlift instead. I wanted to do that again—and a lot! So at the age of 61, I began training to compete in powerlifting. And since I agree with your precept of having a goal to work toward, I set some fairly ambitious ones for myself. I also needed to lose weight, so my overall goal is to set American and World powerlifting records in four weight classes. I’m working on it. So far I have American and World records (NASA) in the 198 class and the American record in 181. I have a USAPL American in 181 and won my class at the Raw Nationals this year. (I have to qualify that by stating there was nobody else in my class at the Raw Nationals but I still had to compete with myself, my weights and a fairly high degree of pain). At the moment my goal is to correct a mobility limitation that impacted my lifting with some pretty severe pain. It kept me from going for the 181 World record this year but we felt it was important to correct the issue rather than to just fight it. Progress is of course going more slowing than I’d like but another goal is to do this correctly—and once! No lifting for about 6 months and I’m about 3 months in—with an exciting rumor I may be able to begin to deadlift this week as a test of progress! I have every excuse to fail in terms of training. I live alone and have to take care of the “everything” that used to be split between two people. I travel extensively for work—hence trainers in both Dallas and Albuquerque, since I live in ABQ but go to Dallas two weeks each month. Other than that I work with clients coast to coast and give 10 or so presentations/year at regional and national conferences. It is difficult to maintain my nutritional program while traveling and my travel schedule is exhausting physically, mentally and emotionally. For too many years, I would also start “working out” and quit after about 90 days. The fact I have continued consistently for 5+ years is a testament to my trainers, who have kept things interesting and challenging. Powerlifting changed my life in so many positive ways. I feel better and have more energy than when I was in my 40’s. I am healthier too. I learned it’s just as important to recover as it is to go as hard as you can—I knew the “go hard and achieve” part but neglected the recovery for far too many years. Thanks to my trainers (Nate and Slade), I also discovered a whole new set of wise people who could add to my life as an elder athlete as well as to the overall richness of my life. Thank you for being at the top of that list! I am now 64 and in my 3rd year of competition as a powerlifter. My daughter Jennifer joined me last year in terms of competition and it has been great fun training together in Dallas. She recently qualified for the Arnold and I’m very proud. (She’s a Dan John fan too). Sometimes you never know how far you have reached and what your influence can mean. I know there are crazy strong young athletes who gain from your wisdom, but you have made a difference in the life of a powerlifting grandma too. I appreciate your perspective on life and training, your humor, your values and those occasionally profound insights from the wise people you quote. She even knew my Mission!! !